Dania Beach is at the center of global trends that are completely rewriting the future of urban development and international business. Its location is its economic strength with highways, air and sea travel just minutes away. There is an uncommon commitment to the future of Dania Beach shared by its residents, government and business institutions. 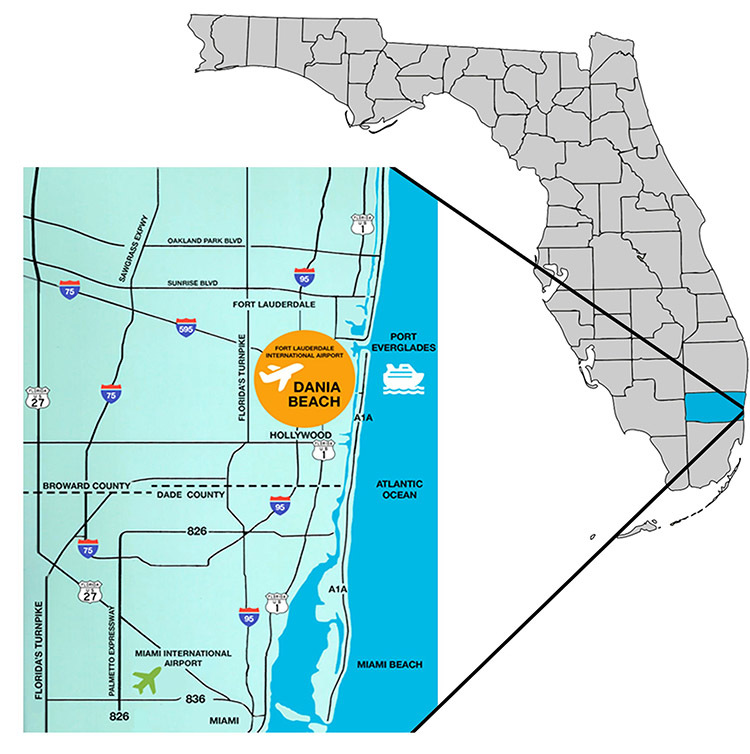 It’s a realistic vision based upon awareness that redevelopment of Broward’s “original” city involves infill development and redevelopment of obsolete structures with modern and sustainable building while still preserving the unique character that defines Dania Beach. We are seeking developers and businesses that share this vision with well-timed and well-placed investments. The City has been recognized as a “Platinum City” in terms of expedited development services. Developers can expect a concierge level of service through its Community Redevelopment Agency that is unsurpassed by neighboring cities. We invite you to experience all that Dania Beach has to offer… its originality; its services; and, most importantly quality of life.